What exactly is a pescatarian? The word pescatarian is a combination of the Italian word for fish, which is “pesce”, and the word “vegetarian”. A pescatarian is a person who follows a vegetarian diet but adds fish and seafood to it. 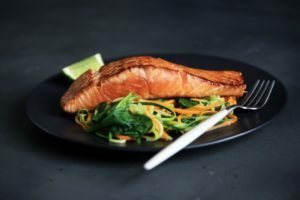 People choose to incorporate fish into their diet for a number of reasons, one of those reasons being that they are health benefits of eating fish. To be completely clear, pescatarians do no eat meat but they do eat fish. Fish serves as the main source of protein, and although the diet is mostly plant-based, some people do include dairy and eggs as well. Plant-based diets, such as a pescatarian diet, lower the risk of obesity and chronic disease like diabetes. Studies have also shown that people who switched over to a more plant-based diet gained the least amount of weight, had a lower risk of developing diabetes at 4.8%, compared to omnivores at 7.6%, and had a 22% lower risk of dying from heart disease. Another popular reason for people wanting to go vegetarian or pescatarian is the opposition of slaughter and/or inhumane factory practices. Many people do not want to kill animals for food and they refuse to support livestock farms where living conditions are often times inhumane. 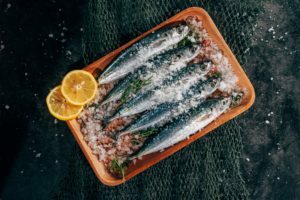 Pescatarian diets are healthier than diets that are only plant-based and also address ethical and environmental issues related to meat-eating diets. Overall this seems to be a delicious and very healthy choice!